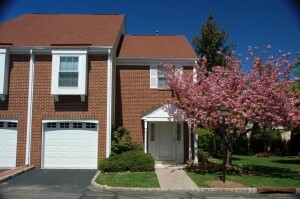 Rosewood community at Madison, NJ is a townhome community built approx. 1981-1986. The community offers 1-3 bedroom and 1.1-2.1 bath units with 1 Car Garages. Prices range from approximately $285,000 – $470,000. 1 +/- Mile to the Madison Train Station for NYC and Hoboken Trains. NYC and Morris County buses are nearby. Here are some more details about Rosewood: www.RosewoodLiving.com. You can also click here to see available homes in Rosewood. Please contact us for more information or if you have any questions about Rosewood or if you would like to schedule an appointment to view these homes.